According to Tuttosport, as cited by Calciomercato, West Ham United are ready to make a move for AC Milan midfielder Franck Kessie next summer. The Ivory Coast international has been one of the better performers for the Rossoneri this season and has attracted the attention of a number of clubs from all over Europe including the East London club. However, the Hammers are not the only Premier League club interested in the midfield ace. 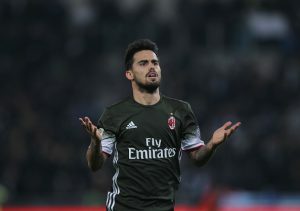 Wolverhampton Wanderers are also reportedly willing to make a move for the AC Milan midfielder. As per the report, Nuno Espirito Santo’s side tried to lure the player away from the San Siro last summer, but the Serie A giants rejected their bid. West Ham United have done a decent job to bounce back from their disastrous start to the season in the Premier League. However, the road to recovery was never easy for the Hammers owing to the injury crisis they had to face all through this season. With the likes of Jack Wilshere, Andriy Yarmolenko and Carlos Sanchez sitting on the sidelines, Manuel Pellegrini might be looking to bring in reinforcements to beef up the midfield and prepare a strong squad for the new season. Despite the absence of key players, the likes of Mark Noble and Declan Rice have held the midfield well so far this season. The addition to a player like Kessie would make things comfortable for them as the Ivorian would take a lot of responsibilities off the shoulders of the aforementioned duo. Kessie’s biggest strength has been his ability to read the game well and play accordingly. He can change his game according to the situation of the match, which could come in handy for any side. The Hammers would be delighted to have him in their team, the only detriment being the inexperience of Kessie in English football. Though the Serie A ace plays as a central midfielder, he can also put in a shift in a deep-lying role in the midfield. His inclusion into the side could also be a big boost for Pellegrini as he might change the formation from 4-1-4-1 or 4-2-3-1 to a more advanced and attacking 4-3-3 formation, with the likes of Rice, Noble and Kessie playing at tandem for his side. The former Premier League winning manager has done well to utilise whatever resources he has had at his disposal to build a good team. However, a significant signing like Kessie would be more than useful for the veteran Chilean. The Ivorian could bring in a lot of physicality to the West Ham United midfield and also a lot of guile, which has been missing since the absence of Wilshere and Yarmolenko. 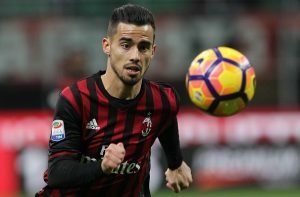 His ability to chip in with crucial goals makes him a complete package worth investing money for and West Ham United should look to splash the cash for the AC Milan midfield maverick and land him next summer. Tottenham Hotspur Eyeing Up A Summer Move For AC Milan Star: Should They Go For Him? Manchester City Rekindle Interest In Top-Notch Defensive Beast: Will He Move To Premier League? 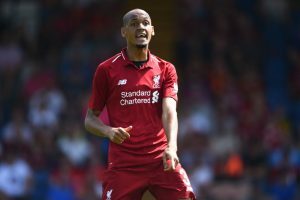 25 Y/O Liverpool Midfielder On AC Milan’s Radar: Should The Reds Let Him Leave? Wolves’ Massive Bid For 22 Y/O Portuguese Striker Rejected: What Does The Future Hold For Him?